Maralyn and I enjoy a good tequila, especially on our many adventures in Mexico. The small batch Señor Rio Tequila is a unique favorite. We once based an entire Thanksgiving feast featuring Señor Rio in every dish. Amazing that we remember it. When visiting the luxurious golf and beach resorts in Punta Mia, we were privileged to sampled several memorable Patron cocktails & recipes. Meet the eight best margaritas of 2019 — then choose your favorite. Whether you like sweet or spicy, find your match. You can vote every day until a winner is crowned. 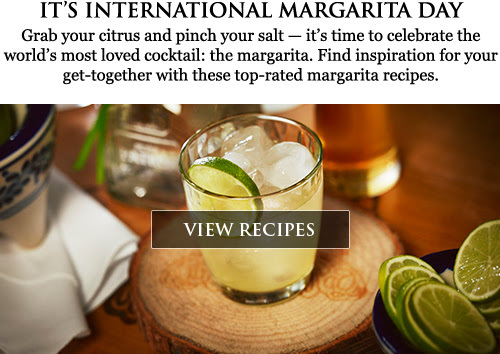 It’s International Margarita Day: Do you know where your cocktail is?